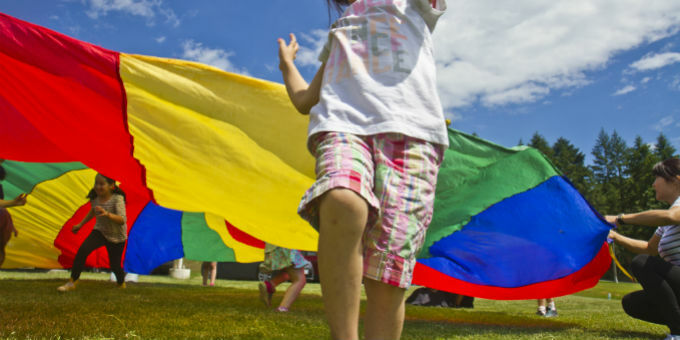 Can you remember back to your childhood days on the playground? 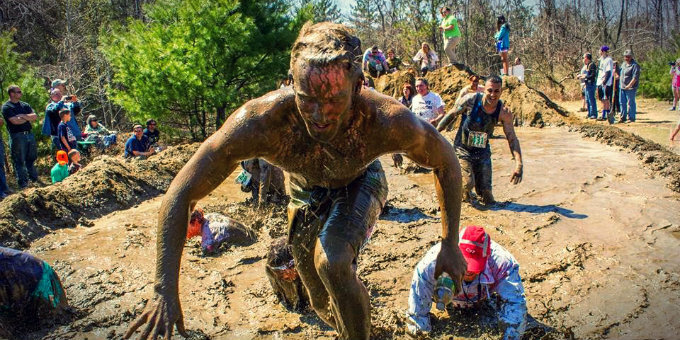 You probably recall playing on slides, climbing on things, and just letting loose without a care in the world. 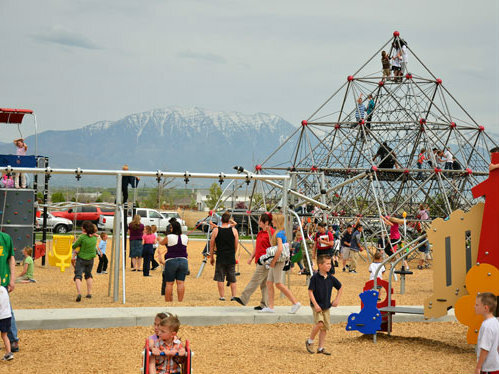 Many of today’s playgrounds offer the same fun with some added bonuses. 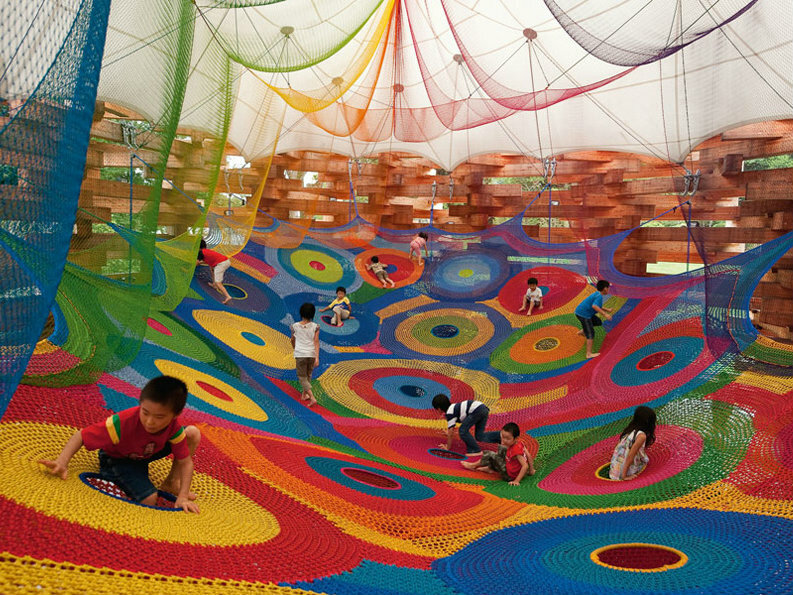 This post contains an impressive list of the coolest playgrounds from around the world. 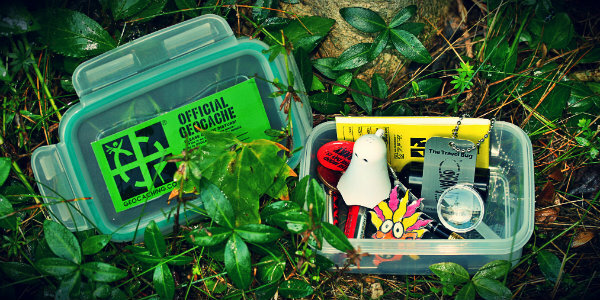 Who knows, after reading through you might just decide to take a trip to one and relive your childhood all over again! 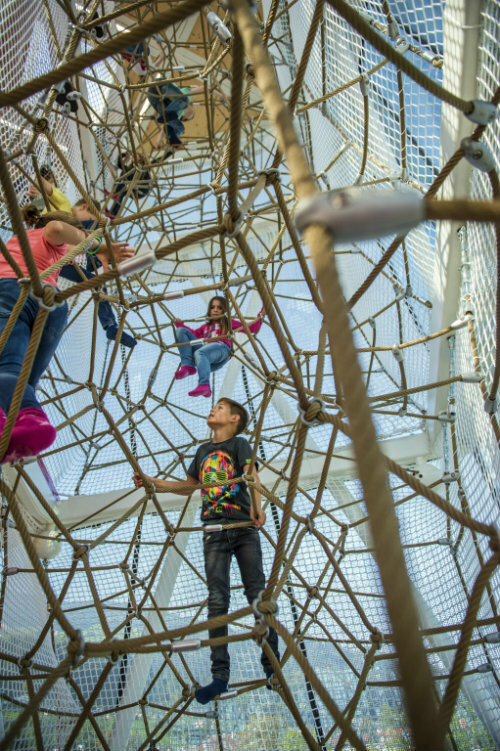 The top of the coolest world playgrounds, Swarovski Kristallwelten is located in Tirol, Austria and has a wide variety of play experiences scattered throughout four levels of the center. 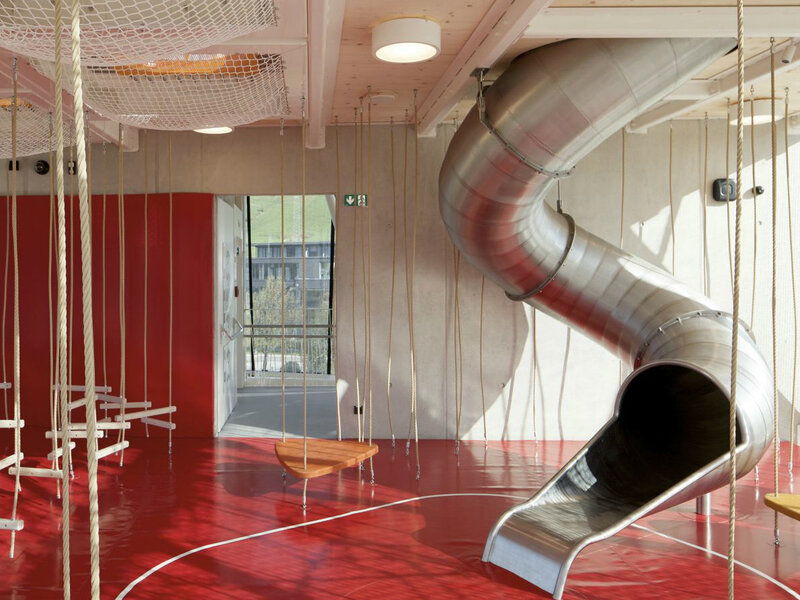 The playground includes a tower, an indoor play area, and a labyrinth, all designed by the architecture firm, Snøhetta. The ground surfaces are child safe and made of non-slip rubber material, which prevents common injuries. 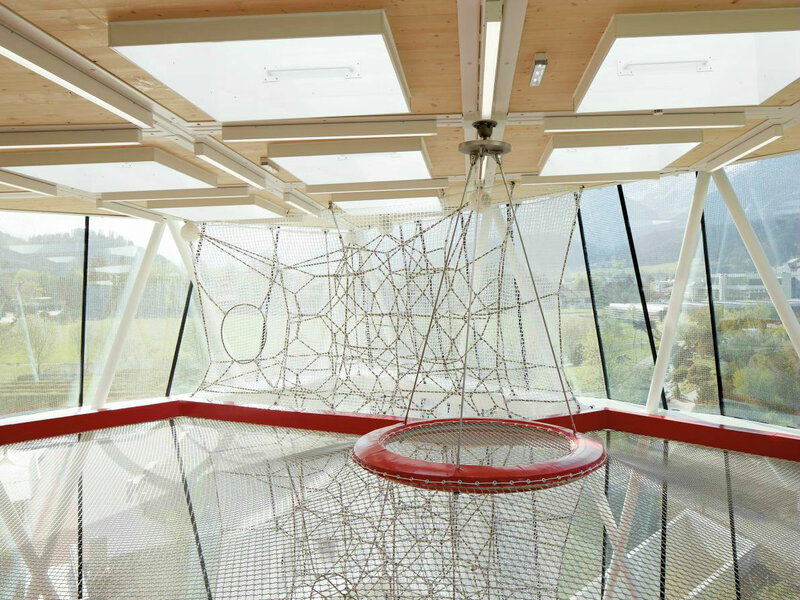 The playground itself sits within Swarovski Kristallwelten Wattens Museum, where it is one of the main attractions. 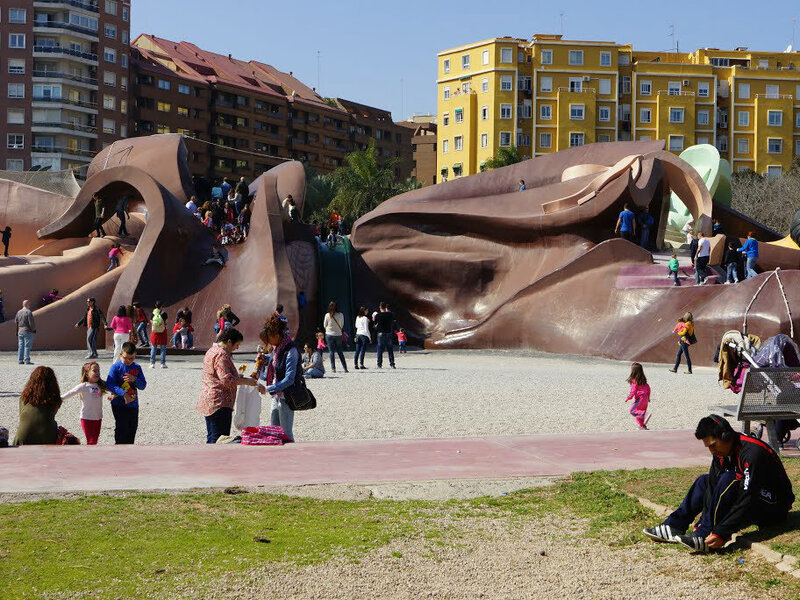 Parque Gulliver was inspired by Jonathan Swift’s Gulliver’s Travels, an 18th Century novel. 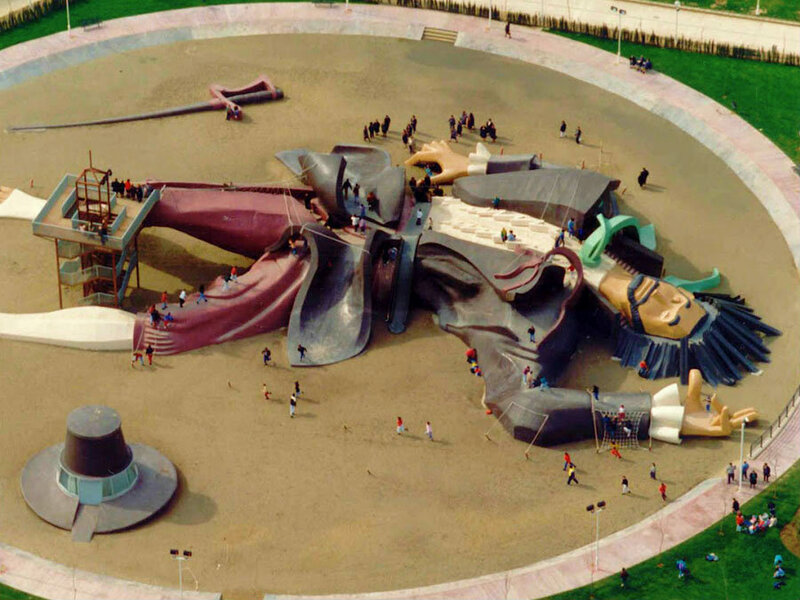 The playground is modeled as a large sculpture of Gulliver himself, depicting a scene in which the character is tied down by an army of tiny people, called the Lilliputians. 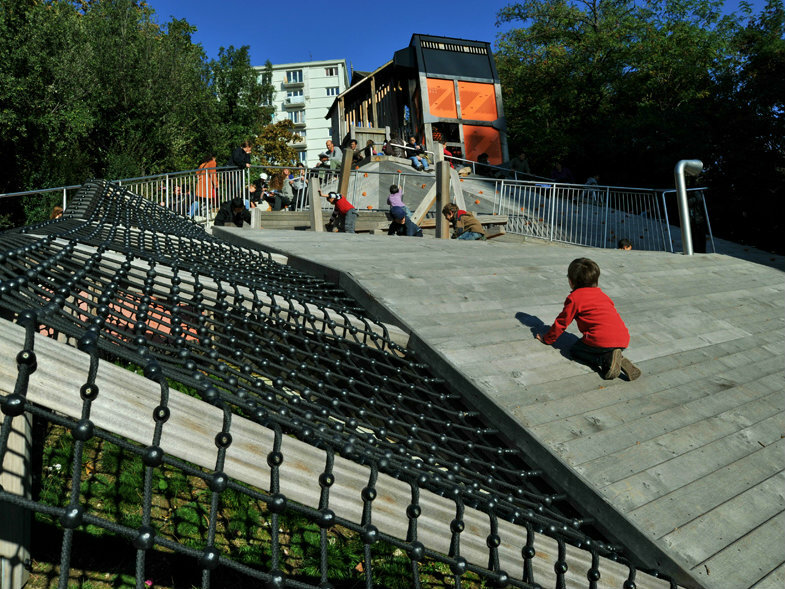 The design allows for many rounded edges that are great for climbing and sliding and turns all its visitors into Gulliver’s little captors! The park opened in 1990, and draws crowds of all ages to this day. Neptune Park features a massive 30-foot pyramid that sits in the middle of a large playground. Inside the pyramid, there are ropes and netting used for climbing and catching those who might slip. 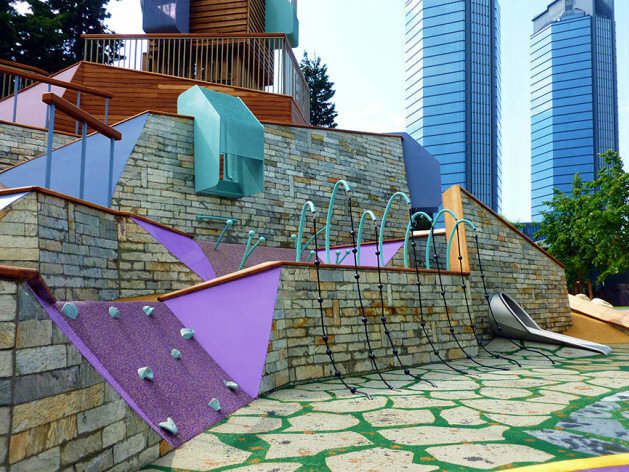 In addition to the central pyramid, there are swings, slides, and other everyday playground equipment scattered throughout. 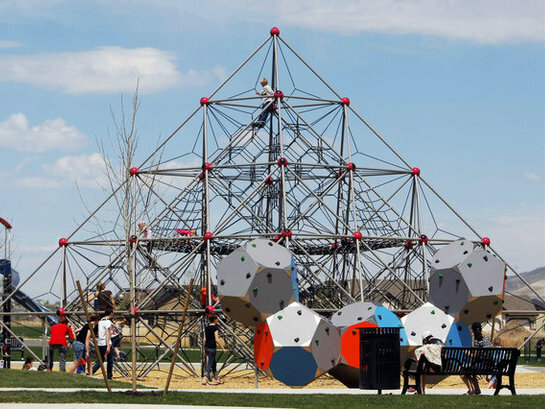 Belleville Park incorporates steep hills, play towers, bridges, wooden climbing walls, and several wooden structures that children can play on. From the top of the structure, the Eiffel Tower can be seen in the distance. 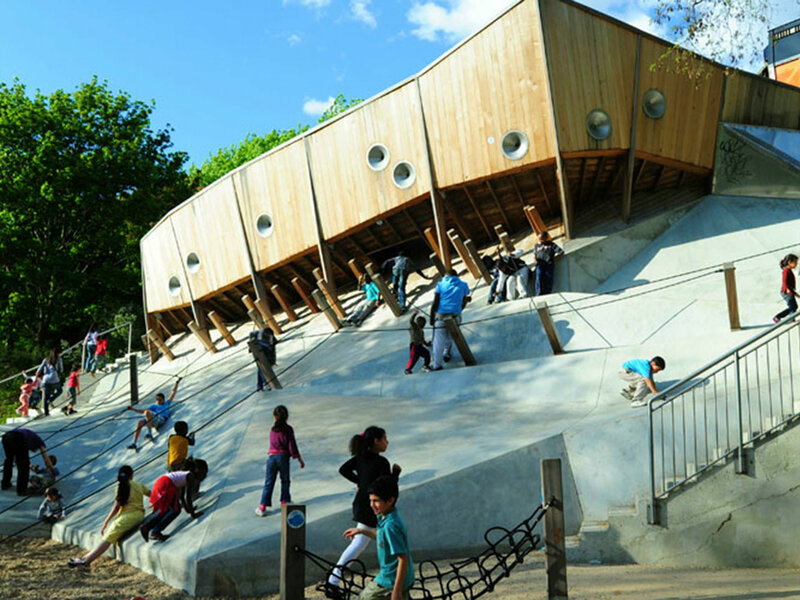 The park was designed by the architecture firm BASE, who wanted the park to resemble a pirate ship, flying carpet, and a medieval fortress. Blaxland Riverside Park is self-proclaimed to be “the biggest and best playground in Sydney.” The playground covers seven acres near the Parramatta River. 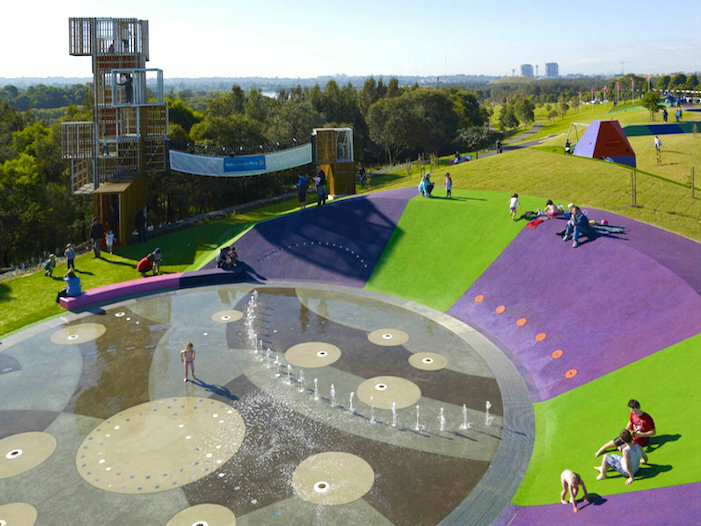 Blaxland features a multilevel treehouse, climbing obstacles, ziplines, bike trails, and over 170 water fountains. 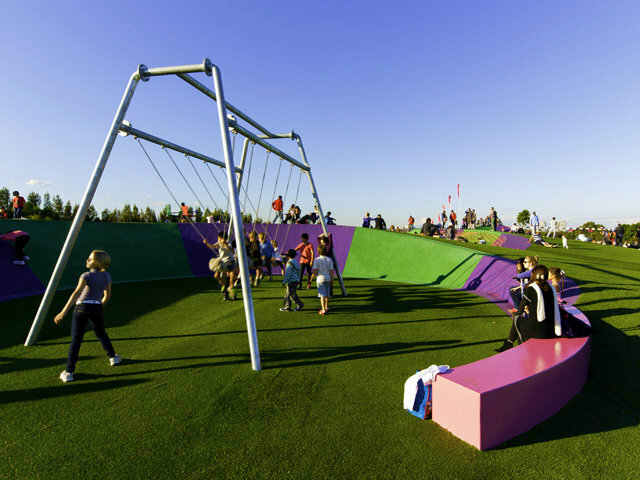 This massive play area sits within Sydney’s Olympic Park. 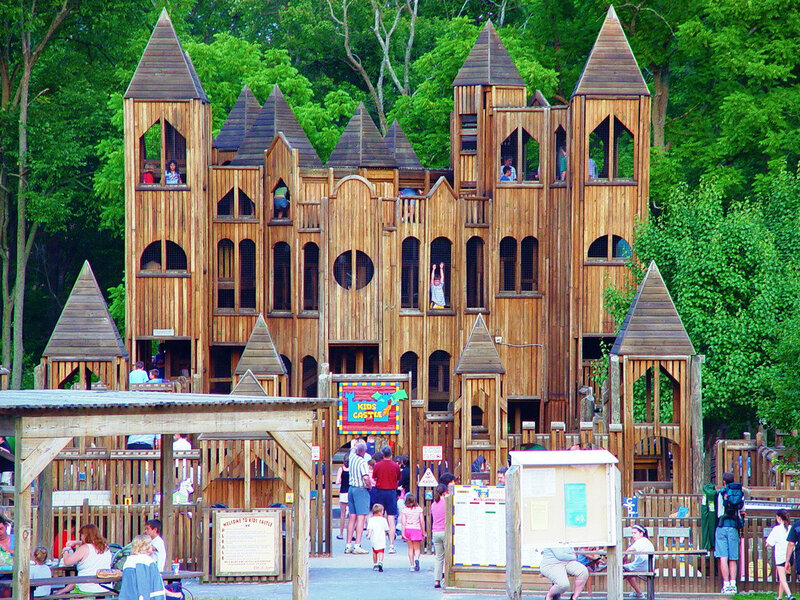 Kids’ Castle is a part of the 108-acre Central Park in Doylestown, Pennsylvania. The castle is eight stories high and almost entirely made of wood. The park is open 7 days a week from dawn till dusk and is free to the public. 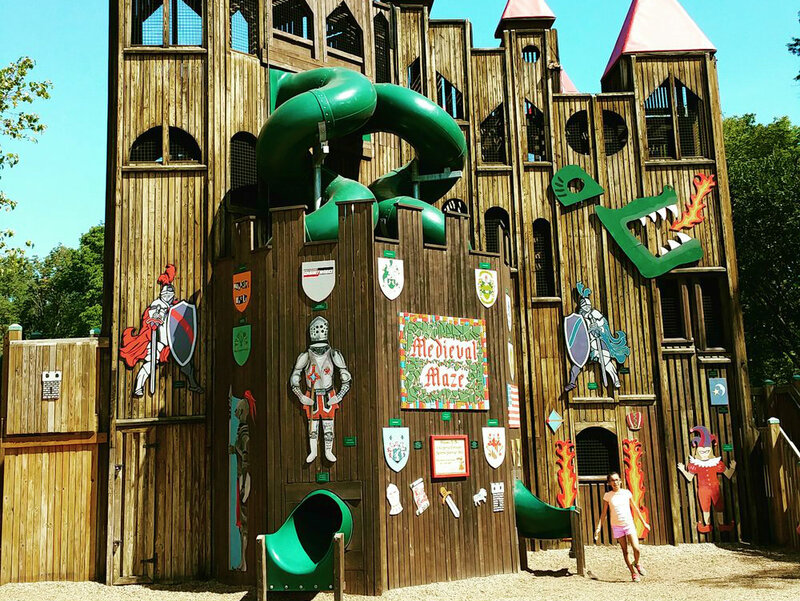 Kids’ Castle was made possible through a volunteer effort to bring more swings, slides, and play places to the community. 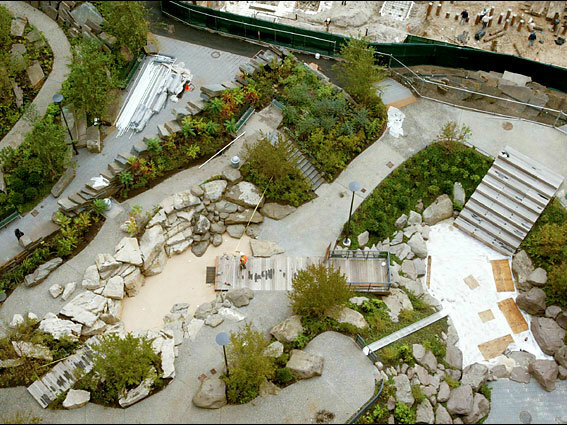 Teardrop Park was designed by landscape architect Michael Van Valkenburgh and is located in Battery Park City, New York. 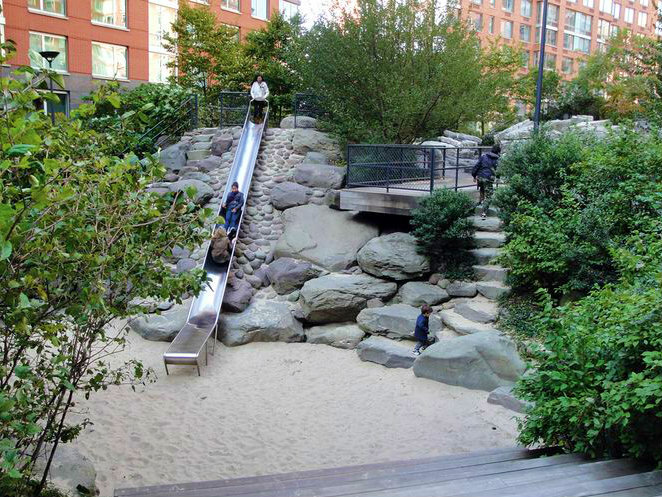 The park contains a large slide, sandboxes, water features, rocky climbing areas, and a large piece of artwork called the “Ice Wall.” The Battery Park City Park Conservancy also holds events for children every Wednesdays, which are particularly popular! 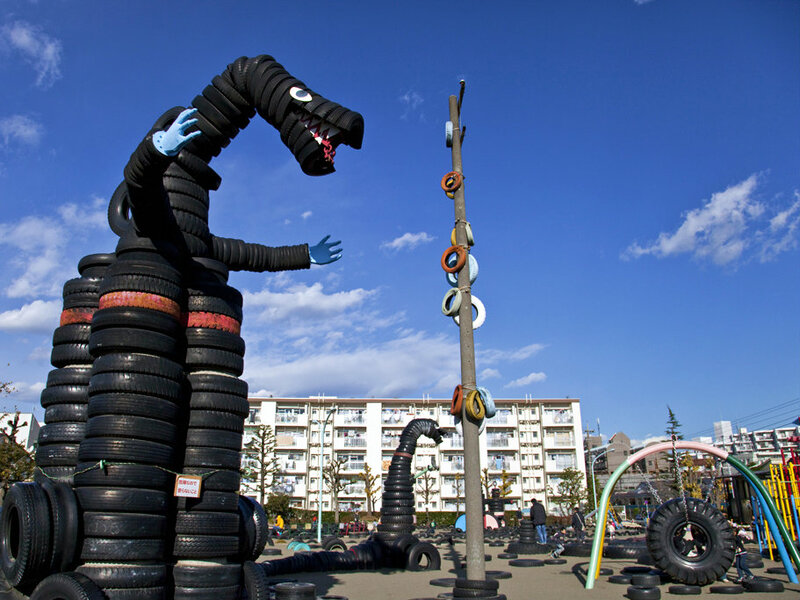 Nishi Rokugo Koen (Tire Park) is a playground that is found right outside of Tokyo, Japan where everything within the park is made of tires in some form. Sitting in the middle of the park is a large Godzilla dinosaur, as well as a robot and spaceship. 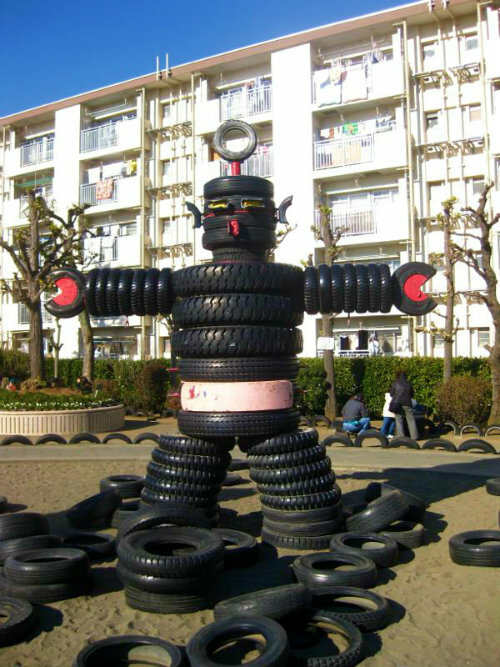 Over 3,000 tires were used to construct the park and its features. 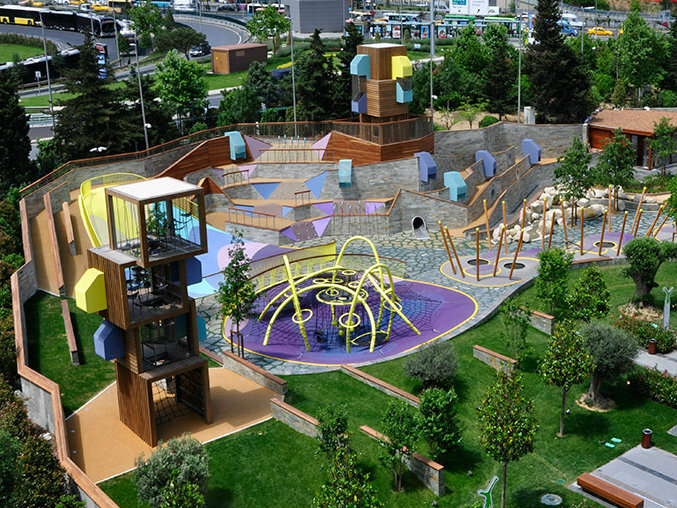 The Zorlu Center is a large playground divided into zones that represent “special worlds.” The park was designed for children and adults, where anyone can find amusement from its features. 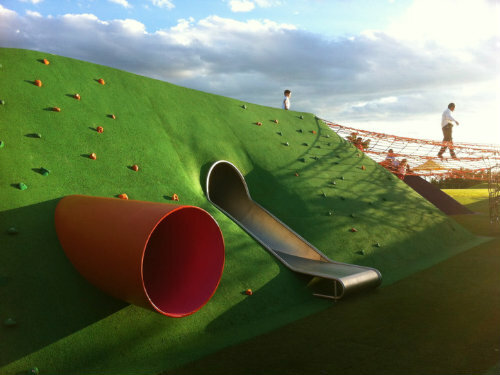 The playground contains trampolines, climbing nets, hammocks, and a number of slides. 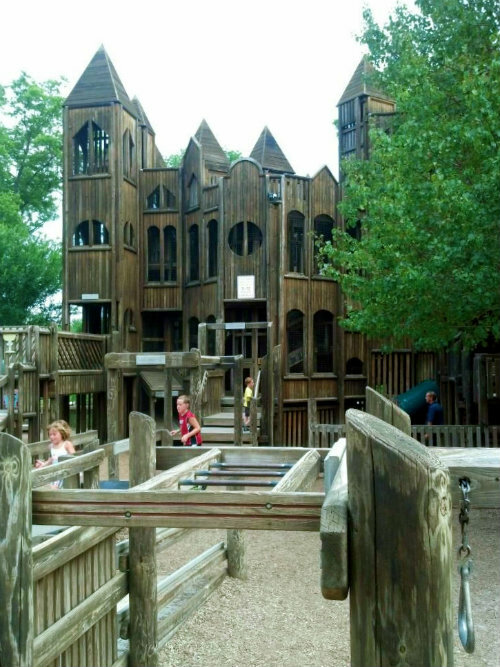 In addition, the park has high walls, low valleys, hills, water features, and towers, to give its visitors a sense of adventure and exploration. 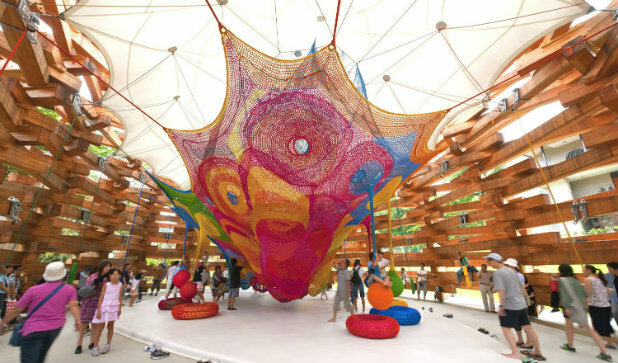 Last but certainly not the least amazing of the world’s coolest playgrounds, we have Woods of Net. 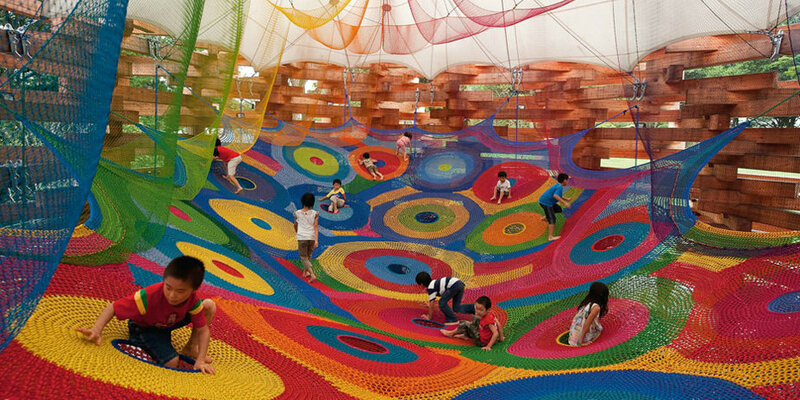 This playground was designed by artist Toshiko Horiuchi Macadam who knitted the interior rainbow netting by hand and by Tezuka Architects who designed the exterior wooden structure. 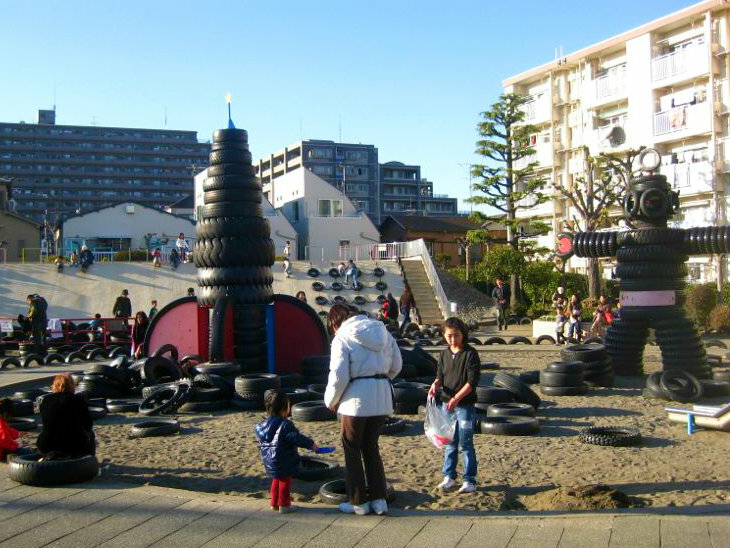 This playground is also an open-air museum and the first one of its kind to open in Japan. 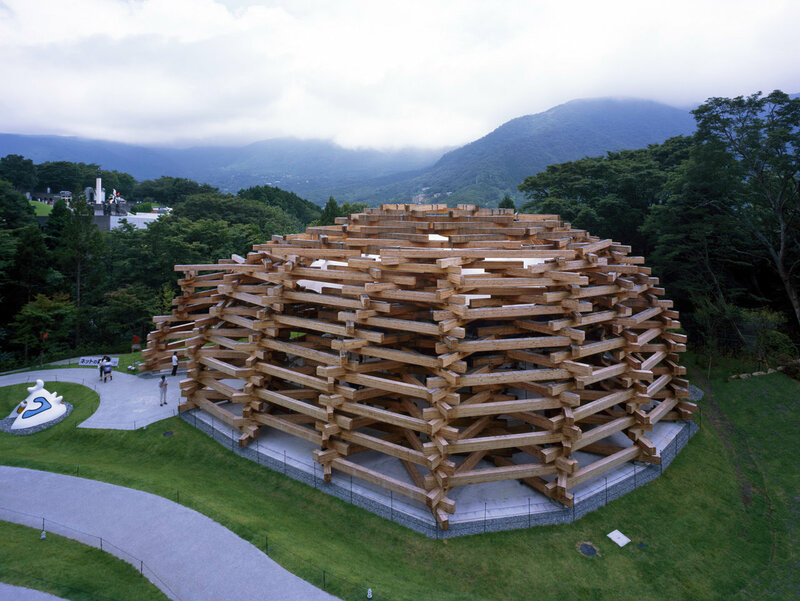 The outer structure uses no metal fasteners and relies entirely on the weight of the timber beams to hold it in place.